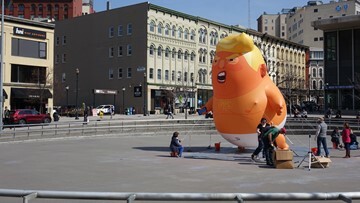 The Baby Trump balloon made a return visit to Grand Rapids on the same day as the president's visit to the area. 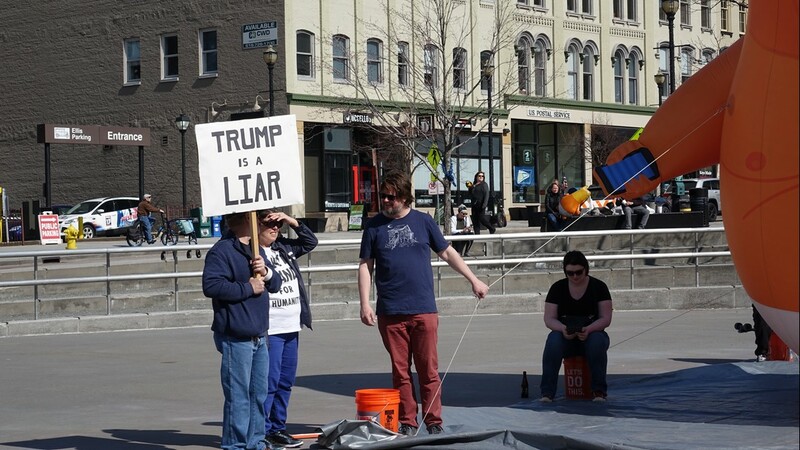 Protesters gathered in downtown Grand Rapids Thursday to rally against President Donald Trump. 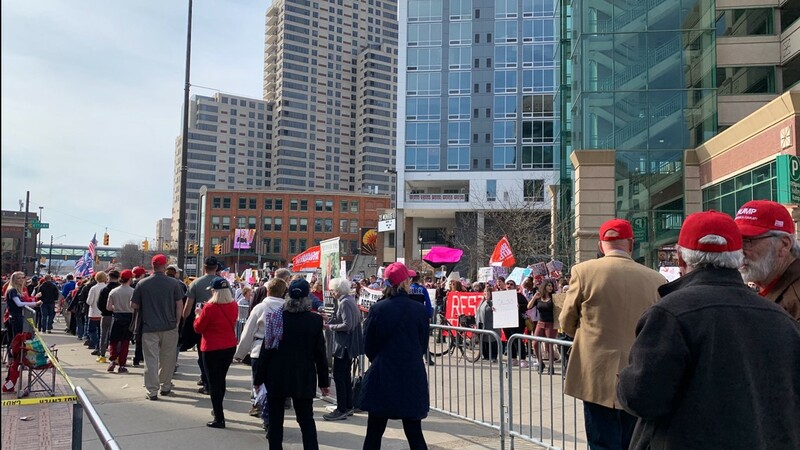 The Michigan Democratic Party held a counter-rally to protest Trump in Rosa Parks Circle Thursday March 28, 2019. 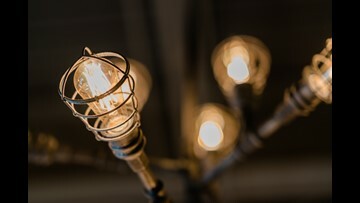 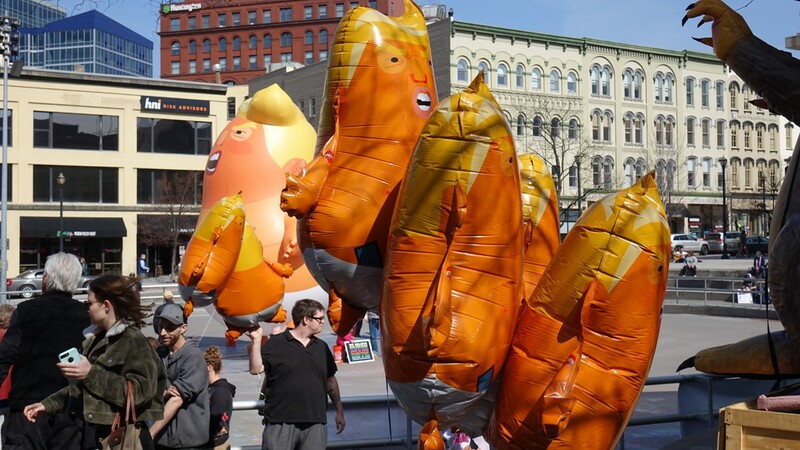 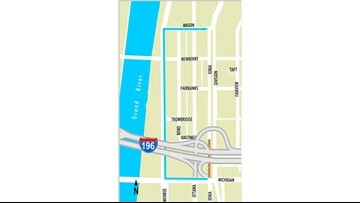 The Baby Trump balloon was in Grand Rapids on March 28, 2019, and smaller versions of the balloon were also available. 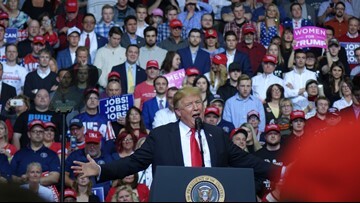 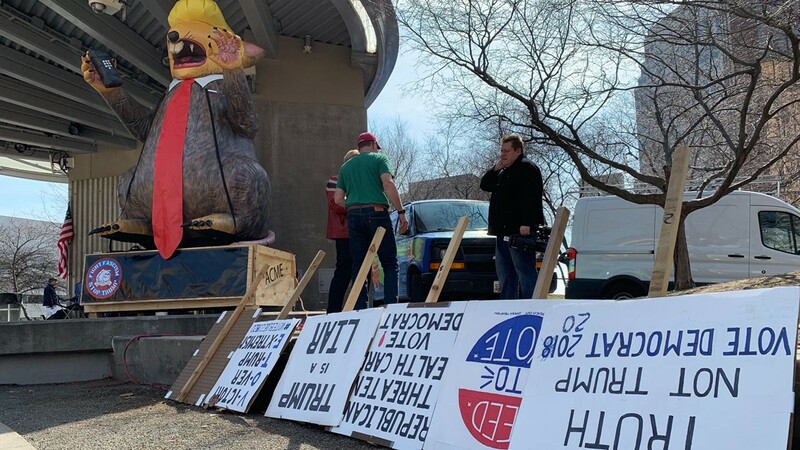 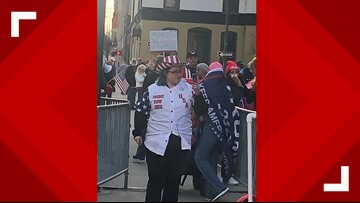 Trump protesters and supporters came face-to-face outside Van Andel Arena ahead of the president's rally on Thursday, March 28, 2019.